Today the Council formally approved the Roaming and Net Neutrality provisions of the TSM (Telecom Single Market) Regulation under the new name “Regulation laying down measures concerning open internet access and amending Directive 2002/22/EC on universal service and users’ rights relating to electronic communications networks and services and Regulation (EU) No 531/2012 on roaming on public mobile communications networks within the Union”. The text agreed by the Council needs now to be ratified by the European Parliament: on 12 October the ITRE (Industry) Committee will vote recommending the European parliament plenary (scheduled for 27-28 October) to approve the Council position. Unless extraordinary circumstances occur, the new regulation should enter into force in late November 2015. It is remarkable that the Council’s position at first reading was adopted without discussion at a meeting of the Competitiveness Council. However, there were rumours that Netherlands and Slovenia, the only EU countries which already have a national NN legislation in force, may be voting against. At the end, they were not able to oppose the deal, instead they made statements expressing concerns for the impact of the new rules on their NN national legislations. 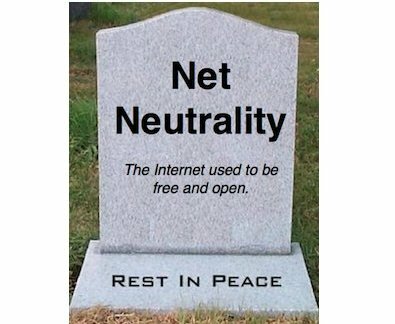 Netherlandas believes that they will be forced to repeal their net-neutrality rules banning zero-rating practices, i.e. price discrimination. Zero-rating practices are in fact allowed by the new European regulation. As a consequence of that, an ISP could charge customers with different connectivity prices depending on the Internet services (website, music, video) which are accessed to, thus materially influencing the free choice of the users. The new European regulation empowers the national authority to surveil about anticompetitive practices, however such rules are too vague to be a deterrent, and this is the reason why the Dutch are so worried. The position of the European Parliament has been ambiguous on this point. The assembly has been doing a big battle about net neutrality but, in my opinion, they understood too late the zero-rating dilemma, because at beginning it was considered too technical (despite the fact that various people, including the undersigned, have been flagging the danger since the beginning). The Parliament became fully aware of the problem after the first reading in April 2014, but it was too late then. This delay in fully understanding such an important issue may have a serious weight for the future of the European Internet industry. However, some members of the European assembly could still rise the issue at the plenary session, asking this problem to be amended accordingly. They would need a strong support for that. It already happened in 2009, when the European Parliament refused to ratify the reform of the 2009 Electronic Framework Package because it was missing a clear provision about Internet as a fundamental right. In that case, as it would be now, the Council was very angry with the Parliament which was accused not to be able to respect inter-institutional deals. It is till too early to assess how European telcos will react to this unexpected freedom to discriminate Internet prices. In markets where competition is vigorous, they will be probably hesitate, because users may migrate to more friendly ISPs. But in markets tending towards narrow oligopolies (mobile and ultrabroadband markets in particular), the problem may rise soon.